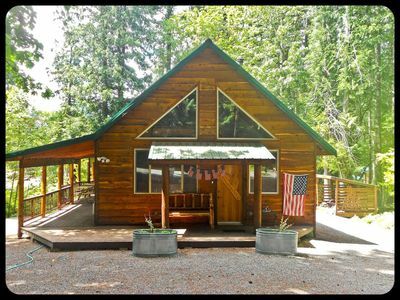 Most Popular Mt View Cabin, Htub, Fp, Elk Roam, Amazing Views, Walk to Town! 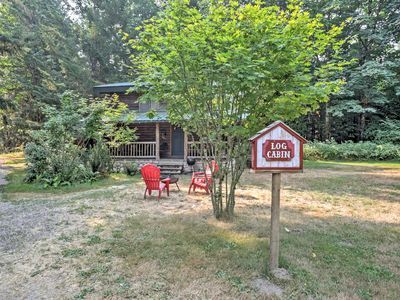 You and your family will love this custom built 3 bedroom log home with hot tub, fireplace, wifi, pillowtop mattreses and so much more in Packwood, WA. 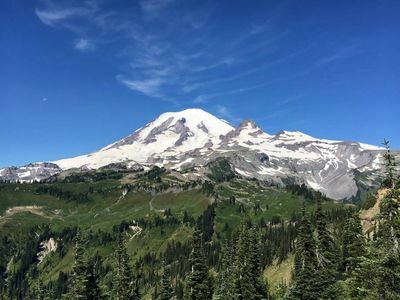 From May to October access Mt Rainier National Park through the Stevens Canyon entrance, only 7 miles away. 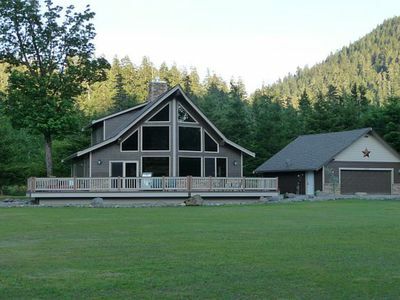 The panoramic views from this Mt View Cabin's greatroom, dining area, deck and hot tub are inspiring! After a day of hiking and exploring enjoy the sunset over the valley below. After dinner cook some smores in our firepit and gaze at the stars above. 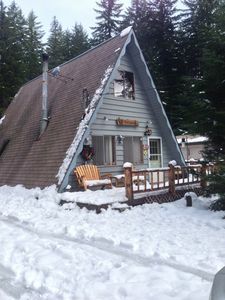 This cabin has been a popular spot for people all over the world as they come to explore Mt Rainier National Park and the Mt St Helens Volcano! 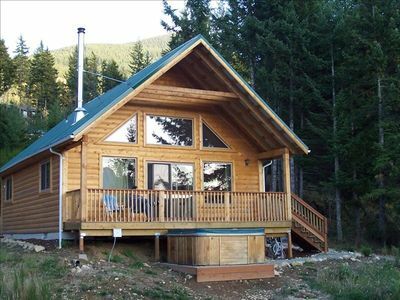 You will love this cabin, the setting and the proximity to everything. 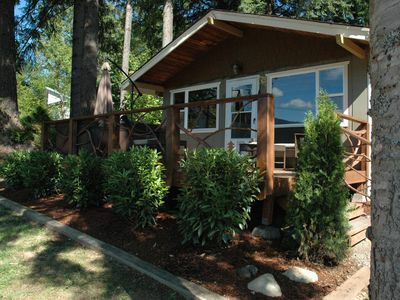 We are only a short 1/2 mi walk to town and restaurants. Call us if you have any questions. 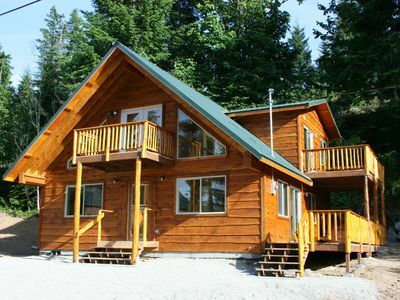 This beautiful log home is complete luxury! 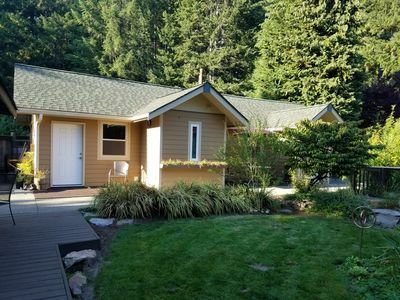 It is a three bedroom, one bath cabin that sits on an acre of beautiful view property. 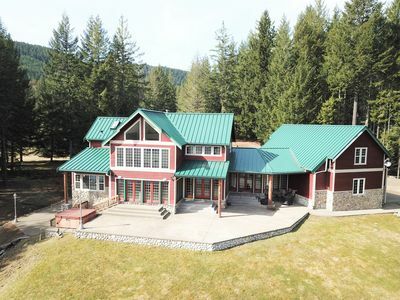 Sit on the covered porch or in the 30 jet hot tub and view the Cowlitz River Valley, the town of Packwood, Cascade peaks on all three sides and witness the incredible sunsets over the western peaks. Packwood is known for its herds of elk that roam the area and it is not uncommon to see a herd pass by the cabin on any given morning or evening. 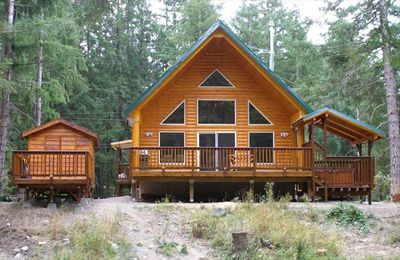 Many come and do not want to leave the comfort and relaxing atmosphere of the cabin. 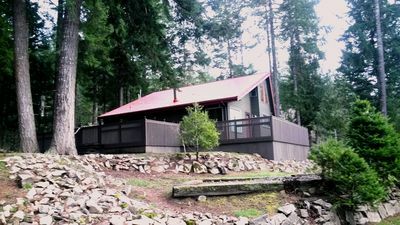 Others venture out into the Mount Rainier National Forest, Gifford Pinchot National Forest, White Pass Ski Resort, Mount St. Helens, the Cowlitz River, Snowmobiling, four-wheeling, horseback riding, rafting, the snow parks and recreation areas, and the many concerts and cultural events of east Lewis County. 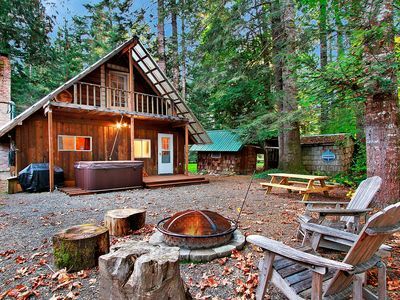 This Rock-N-Roll Cabin Is Quaint and Super Fun. 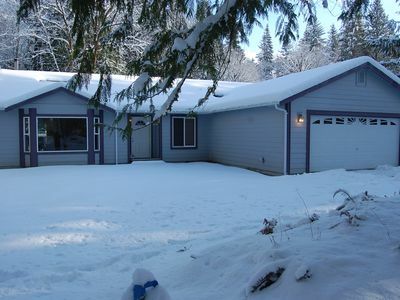 A Peaceful Private Setting with lovely landscaped garden including fish pond. 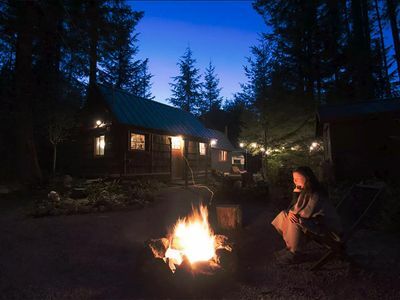 Cozy Cabin in Packwood w/ WiFi , HBO and RoKu. 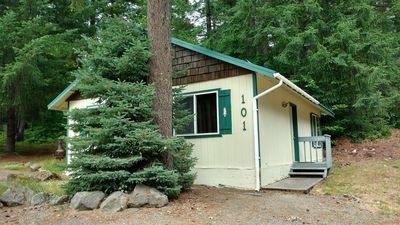 Book Now for Winter Getaways at Mountain Retreat! So Close to Winter Recreation! 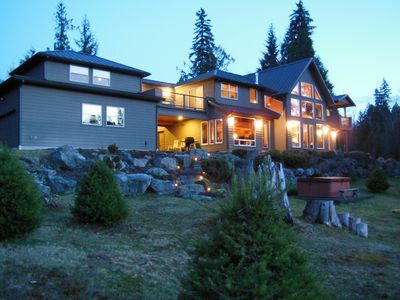 Maison de Montagne; get away from it all and have it all at the same time! 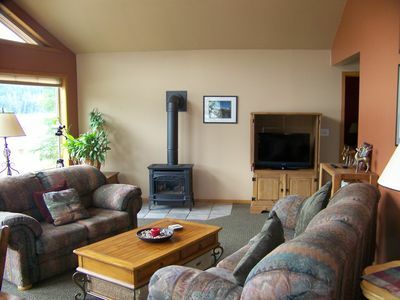 Enjoy winter activities in the mountains and a cozy warm fire awaiting you. 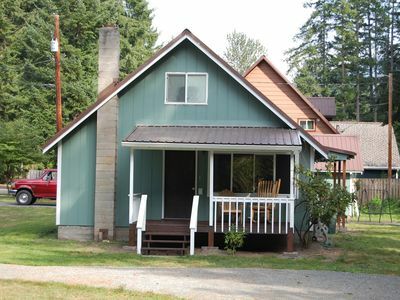 ‘Log Cabin’ Cozy 1BR Packwood Cabin w/ Mtn Views! 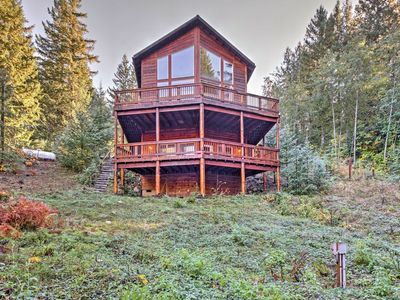 'Grizzly Tower' Packwood Cabin w/ Forest Views! NEW! 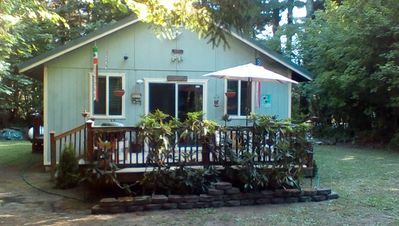 The Bunkhouse @ Historic Packwood Station- Wifi/Pets OK! Great for Groups!